In this world, the concept of levels exist. Other than those who live off defeating monsters, most people are only around Level 1 to 5. What’s more, not just anyone can go out to hunt monsters; it’s heavily influenced by one’s role anointed by god. There are eight such eligible roles. Warriors. Fighters. Clerics. Magicians. Rogues. Merchants. Hunters. Sorcerers. Those blessed with extraordinary power are divided into three types. Royalty. Heroes. Sages. But for the majority of the population, they have no such powers and live by farming or running shops. Towns are developed by those with the weakest role…Villagers. For the powerless Villagers going out to hunt monsters is equivalent to committing suicide. But one day, a certain two-year-old child given the role of Villager notices something. Once you defeat a monster…you can earn great wealth. Haha, I remember reading the prologue on rebirth online world and it was quite funny, the translations weren’t great though. And since you’re doing this one, I’ll be anticipating it!! Thanks for the words. Saturday will be a very…fun day. today was a great day!!! so many releases!! This has some potential to be nice and interesting. And there’s a lack of “good” OP MC stories being translated. At least I can’t find some well made, non-stupid stories with OP MC. Haha. How goes? I haven’t been around much on irc, so I haven’t heard about anyone. Doing well I presume? I haven’t turned IRC back on since I rebooted a week ago. Too lazy. Yeah, hanging in there. Work is taking a toll on me. I don’t have time to read things. I barely have time to read our own stuff. ¿do you like conchita the singer? now this is one interesting title- the title itself is seductive to read. thank u for your hard work xant! My 2 cents for synopsis: After twenty years, Kagami has reached level 999 despite being a villager. He has good money amount of money and a leisure life. While he starts to get bored, a level 90 hero comes to town looking of party member. I read with Moon+ Reader, is good for me. the links are not being updated? Ah! This story gives me wings! Uh, those are not placed by me, those are made by wordpress. I haven’t gotten around to chapter nav for Villager. Its still a good to read web novel and i just rudely ignored the fact that the protagonist answered a questions with a question. 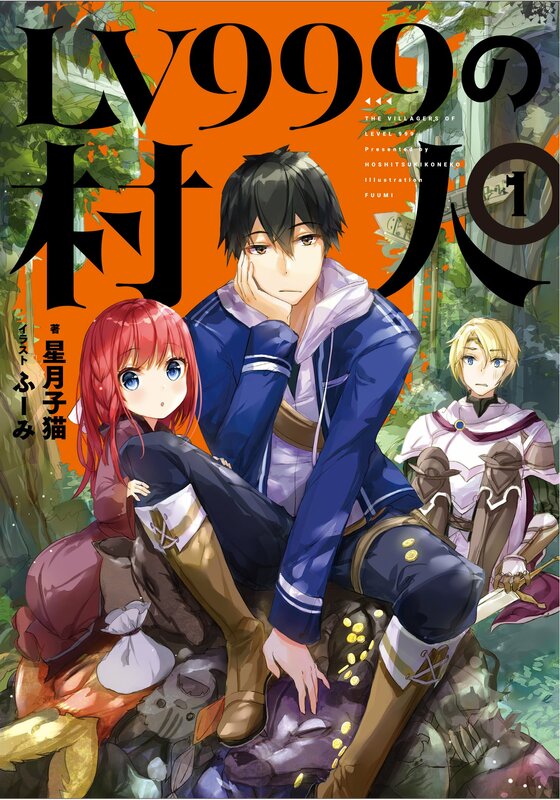 This is a great web novel That is fun an quick paced, but I swear it is exactly like one punch man in a fantasy setting. A Lvl 999 villager v.s Lvl 2216 village girl(in a certain novel). Who do you think would won.? I read and drop this novel but because the previous chapters already translated. Its time to re read again. up to which chapter does the 1st vol. of the LN covers? and are there illustrations available? so it’s dropped…. ugh, a pity. This is a great story I hope it get’s out of Haitus. please, can you consider to continue this work? Well, how about you? Why don’t you do it? Esta activa la traduccion ??? ?